13 de Diciembre del 2017 9:38 am. The First Team spent Tuesday morning in the desert at Las Dunas de Bilbao, focusing completely on physical fitness with first team trainer Pablo Sanguinetti. The players worked for two hours, from 8:30 until 10:30 on various sprinting and weight-bearing exercises in the deep dand dunes, an aspect paraguayan midfielder Osvaldo Martinez says is essential for preparation. 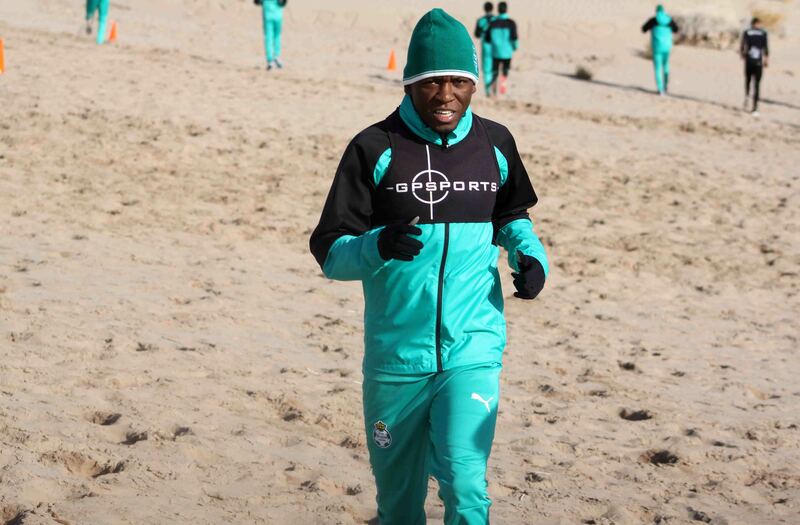 "Training in the sand always helps because of the resistance it provides and particularly in the legs," he said. "It favors us in that we'll have greater strength, and is an important component in helping us be at 100 percent (physcially) before the tournament starts." Santos Laguna youth product Oscar Bernal returns to the squad after four tournaments at Tampico Madero Football Club. undergo weight-bearing exercises using their counterparts' bodyweight as resistance.